Shauna Burns' new release in April 2009 entitled Anamnesis is the next step in her musical journey. This 5 song EP is the continuation of her enchanting 2008 album The Moon and the Fire Circle. Shauna's work includes her stellar debut album Every Thought from 2005/2006 and follow-up EP Desert Tune in 2006. This music is strong, intelligent and resonates long after the music has stopped. Her ethereal vocals and virtuoso piano have touched many and received rave reviews, this is an artist not to be missed. James Clark combines innovative rhythms and cleverly mixes the prolific beats with sounds that are inspired and original. James continues to drum and produce for various artists while creating his own brand of sonic tapestry. Anamnesis is pianist/singer/songwriter Shauna Burns' next work released under Red Rock Music in April 2009. This 5 song EP is the continuation of The Moon and the Fire Circle and the next step in her musical journey. Anamnesis, which means 'recollection' or 'remembrance', focuses on the senses that live in our memories. 'Music is a trigger for things we remember,' Shauna explains. 'Each of the songs on Anamnesis represents one of the senses.' The first song on the EP is titled 'Smell' ...its reference is obvious. 'A Letter' embraces the gift of sight, 'Wind' references touch, 'Driving Far' taste, and 'So Tell Me...' our sense of hearing. The new album is full of Shauna's trademark piano and vocals, James Clark on drums and percussion, Steve Lemmon on guitar and bass, Ryan Tilby on mandolin and dobro, Kiley Astle on violin and Steve Nelson on cello. Shauna's ethereal vocals and beautiful piano developed while growing up in Miami, Florida. Inspired by her mother's love for the piano, her songwriting thrived and when she headed west for college her music met cheers and enthusiastic recognition. After receiving a bachelor's degree in Anthropology at the University of Utah, Shauna spent a year in Europe preparing her debut album. Released under Red Rock Music in 2005 Every Thought was the foothold that lifted this talented pianist and singer to critical acclaim. 'Beautiful cascading piano [and] ethereal vocals... a new fangled fusion that will ignite a spark that will be hard to replicate. Perfect.' States Smother.net. Shauna's songwriting extension to Every Thought was her 2006 follow up EP release entitled, Desert Tune. Shauna has embarked on multiple vigorous tours since 2006 with over 75 shows and appearances stretching from coast to coast in the U.S. and the U.K. Shauna will hit the road again with her Wandering Planets Tour in 2009. 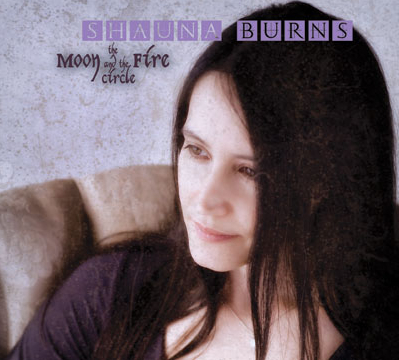 'Around You', the first single from The Moon and the Fire Circle, reached number 7 on the FMQB AC Chart, was one of WCH Radio's 'Top Songs for 2008' and reached number 1 on 'Song Vault Radio'. The Moon and the Fire Circle was selected 'Best of 2008' by Collected Sounds and The Promise Live. Radio Crystal Blue also chose Shauna as one of the 'Top Recording Artists of the Year 2008'. 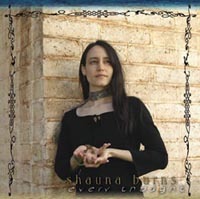 Shauna's debut CD, Every Thought was selected as one of the Top CD's of 2005 by Collected Sounds and the single, 'Pink Girl', was chosen as the number 1 single from the MAACP show. The album was chosen for 'Best of the Batch' from the Music Industry News Network and featured on TowerPod.com, Billboard, VH1, Artist Direct, AOL Music, Fox TV and countless others.